Publications Donated: Following the clarion call at the VICCC’s launch at UVI St. Thomas during the 15th Annual IIBC in November 2012 before more than 100 presenting and visiting scholars from the Caribbean, Americas and beyond, cultural scholars have continued to donate scholarly papers, artwork, digital media, equipment and other mixed media publications to the VICCC. Collections on notable Virgin Islanders like Rev. Dr. Edward Wilmoth Blyden, Hubert Harrison, Dr. Marva Sprauve Browne, Dr. Marvin Williams, Dr. Yosef ben Jochannan (Johannes) and others are being curated, developed and researched on an ongoing basis. Donations have been received from many that include yet are not limited to the following: Dr. Simon B. Jones-Hendrickson, UVI Professor of Economics and Interim Dean of CLASS; Dr. Robert Nicholls; UVI Professor; Dr. Arnold Highfield, UVI Emeritus Professor; Dr. Gloria I. Joseph, Amherst College Emeritus Professor; Dr. Eugene Petersen, M.D. ; Wayne “Bully” Petersen; Dr. Virgie Broussard, Grambling University Emeritus Professor; Dr. Nicholas Faraclas, University of Puerto Rico-RP (UPRRP) Professor; Dr. Dannabang Kuwabong, UPRRP Professor; Kadija George Sesay; and others. For parties interested in making a donation to the VICCC collections, please email [email protected] or call 340-692-4272. Dr. Gene K. Emanuel Cultural Literature Collections: A special collection has been donated to the VICCC of personal books from the Estate of Dr. Gene Kenneth Emanuel, an internationally respected historian, educator, PanAfricanist and scholar who served as a tenured professor at the University of the Virgin Islands for 30 years until his sudden passing in 2011. Special thanks are extended to Mrs. Mary Emanuel (Dr. Emanuel’s wife) and family for donating the largest book collection to date for the VICCC. The Dr. Gene K. Emanuel Collections are housed in the VICCC for interested and serious students, faculty, staff, researchers, educators, culture bearers and others by appointment as resources are used on-site and space is limited. A cultural exhibition, unveiling ceremony of this collection, and tribute to Dr. Emanuel’s intellectual, academic and communitarian achievements and contributions is being held on Friday, February 14. 2014 in the VICCC on the Albert A. Sheen campus of UVI. http://dloc.com This resource link shared by Director Judith Rogers of UVI Library and IT Services. Look out for new digital collections added to DLoC by VICCC! Special Thanks to Peter Wiben and Visiting Educators of the TransAtlantic Slave Trade Danish Education Project for sharing these links with the VICCC after an interactive tour in January 2014. Support VICCC and others to utilize the ever-increasing educational resources being made available to UVI students, faculty, administration, staff, the VI and Caribbean community and beyond! Virgin Islands Social History Associations (VISHA) through its’ St. Croix African Roots Project (SCARP)- launched a ST. CROIX POPULATION DATABASE 1734-1917. It’s a searchable, virtual archive, currently consisting of 1.83 million biographical entries. (From VIPL:DLAM). 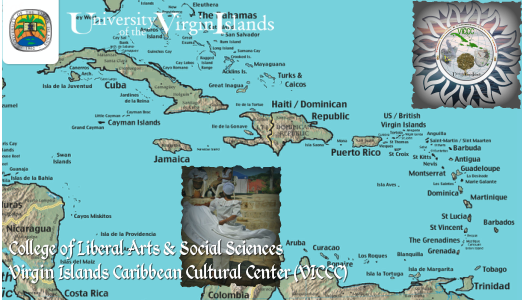 Archives are expanding of UVI Faculty lectures, colloquia, workshops, projects, events and presentations delivered throughout the Virgin Islands, Caribbean, Americas and globally. An example includes Dr. Simon B. Jones-Hendrickson, Dean (Interim) of the College of Liberal Arts & Social Sciences at the University of the Virgin Islands presenting an historic lecture entitled “Size and Survival: The Era of Globalization” at the Fort Young Hotel in Dominica on Tuesday, April 2, 2013. Visit these links to see the videos of this intellectually engaging and informative lecture presentation at http://youtu.be/e_M_VQh9r3s & http://youtu.be/gmTSstNS_GQ. 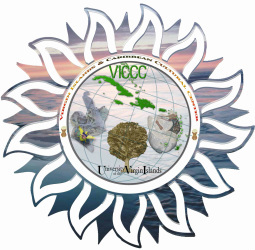 Comments, perspectives and potential collaborative initiatives are welcomed via email to the VICCC at [email protected], www.youtube.com/viccc365or /get-involved–communicate.html. Dr. Robert Vaughn Collections: A special collection has been donated to the VICCC of select digital media archives from the Estate of Dr. Robert Vaughn, a renowned librarian, archivist, avid traveler, photographer, community activist and published author who worked and lived in St. Croix for many years. Below is a link to a 2005 news profile by the VI Source on Dr. R.V. Vaughn. An unveiling ceremony of this collection along with a tribute to Dr. Vaughn’s intellectual, academic and communitarian contributions and publications is slated for Winter/Spring 2014. Special thanks to Mrs. Marvin A. Williams & Family for donating selected books of Dr. Marvin A. Williams (1955 – 2010), former UVI Professor, Editor of The Caribbean Writer & published literary artist. This collection was donated to the University of the Virgin Islands’ Library on the Albert A. Sheen Campus and housed in the VICCC. An exhibit of the Dr. Marvin A. Williams Collections is in development. Open house scheduled in Winter/Spring 2014. From VICCC’s official launch in November 2012 to present, the National Park Service of St. Croix has worked with and supported multiple collaborative partnership programs, events, initiatives and research with the VICCC at the University of the Virgin Islands. Formal memoranda of understanding and collaborative partnership agreements continue to flourish between UVI and NPS-STX over the years and are being strategically and resourcefully expanded with VICCC. The National Park Service of St. Croix, Virgin Islands is one of the only National Park Services in the United States with three (3) parks: Buck Island, Christiansted and Salt River Bay. Visit one or all of the National Park Service of St. Croix heritage sites whenever you visit the pristine and culturally-enriched shores of St. Croix, Virgin Islands. “Salt River Bay National Historical Park and Ecological Preserve uniquely documents the human and natural Caribbean world from the earliest indigenous settlements in the central Caribbean to their clash with seven different colonial European powers to the present day…” Excerpt from NPS St. Croix Salt River Bay website. “Buck Island Reef National Monument is a critical nesting habitat for the hawksbill, green, and leatherback sea turtles. The monument also serves as a feeding and developmental habitat for young turtles that settle into the reef and sea grass environment after their open sea-phase.” Excerpt from NPS St. Croix Buck Island website. “No place in the Caribbean still demonstrates the architectural, economic, and political influence of Europe like Christiansted National Historic Site. 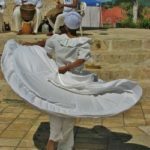 Come wander through 18th century buildings in one the Caribbean’s few urban parks- it is a unique experience that you will never forget.” Excerpt from NPS St. Croix Christiansted website. Caribbean Sea Adventures™ offers services that include “Buck Island snorkeling and scuba diving, private charters and sunset sails.” The National Park Service of St. Croix’s Buck Island Reef National Monument is a must see for every single visitor- young or not so young; swimmer or non-swimmer- for a snorkeling or diving experience in one of the Caribbean’s best underwater trails or just to frolic in the sand and sea at the sun kissed beach! “Buck Island’s main beauty lies in the surrounding coral reef ecosystem and its unique underwater trail.” Excerpts from http://www.caribbeanseaadventures.com. For one of the most creative and flexible opportunities to learn the cultural heritage, environmental and educational treasures of Buck Island Reef National Monument, join this collaborative blend of some of St. Croix’s stewards- the National Park Service of St. Croix; Caribbean Sea Adventures and the University of the Virgin Islands’ VI and Caribbean Cultural Center (VICCC) as we respectfully share one of the great natural wonders of the Caribbean right here in St. Croix, Virgin Islands of the USA- a true Caribbean Gem! * Visit http://www.caribbeanseaadventures.com or call 340-773-2628 for reservations. Email [email protected] or call 340-692-4272 or 340-692-4283 to join and experience our VICCC-inspired Informative, Safe, Extraordinary and Educational (I-SEE©) tours! *=NPS will have the video Caribbean Gem available in Summer 2014 ask them for a screening @ 340-773-1460! EUROTAST is a Marie Curie Initial Training Network (ITN), supporting a new generation of science and humanities researchers to uncover and interpret new evidence on the history and contemporary legacies of the transatlantic slave trade. The EUROTAST network will be running for four years from 2012 to 2016, and will enable 13 PhD researchers in history, archaeology, social anthropology and population genetics to work collaboratively across disciplines to provide new perspectives on this history. Our research will be focused on three themes: Origins, Life Cycles, and Legacies, which we hope will not only lead us to further detail on the slave trading system, but also help us demonstrate how slavery fundamentally shaped the cultural and biological experiences of people of African descent around the world.- Excerpts from EUROTAST website. “The Division of Virgin Islands Cultural Education aims to preserve and impart the knowledge of the Virgin Islands Cultural Education to our schools and community on a whole.” Excerpt from VIDE VICE website. 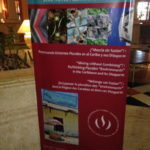 More information on educational partnerships, programs and policies inclusive of the P16 VIDE and UVI Initiatives are available at http://www.vide.vi. “The Trans-Atlantic Slave Trade Database has information on more than 35,000 slave voyages that forcibly embarked over 12 million Africans for transport to the Americas between the sixteenth and nineteenth centuries. It offers researchers, students and the general public a chance to rediscover the reality of one of the largest forced movements of peoples in world history.” Excerpts from TASTD website.